Over the years that I’ve struggled with OCD, I’ve come to create some sort of metaphorical OCD toolbox that I delve into when I’m struggling. It’s like a little pocket in my brain where I store all the things that I’ve learnt over time to be useful when tackling my OCD. For example; distraction techniques, sayings or phrases, key people to contact and a whole lot more. I find it comforting to have that as a safety net to fallback on when OCD decides to rear it’s ugly head and I’m left having to fight it back to where it belongs. Especially as I usually only see my therapist for an hour a week, which means there’s quite a lot of time to cope with in between sessions This toolbox concept can become relevant to absolutely any issue, whether it be a trich toolbox, an exam toolbox, or even a staying mentally healthy toolbox. The possibilities are endless and it doesn’t even have to be metaphorical. You could create a little physical toolbox that contains all the things that help you. Reading – Getting lost in a book can sometimes be the epitome of an escape. Involving yourself in a reality other than your own can become almost like a small break from your own reality, which I’m sure we all need at times. This has actually been more of a recent addition to my OCD toolbox, as previously I’ve found it really difficult to read continuous pages of text without getting stuck in a compulsion, so I’ve naturally just avoided reading books for quite a number of years. However, more recently I’ve decided to try and incorporate reading into daily life again and whilst I can only read comfortably for a short period of time without getting trapped in a ritual, it’s a huge improvement and I really enjoy it. (Blog post on my favorite books coming soon). Origami – I love intricate crafty things that force me to really focus on what I’m doing, which is why I love origami so much. There’re so many designs to make and some can literally take hours to complete, which for me is a good thing. Plus you get something physical at the end of it, which can be quite rewarding to see all your hard`work pay off. Parks & Rec – This TV show never fails to cheer me up or make me laugh. When things feel quite bleak and pointless, I always turn to this series to make things feel a little less heavy. It’s also nice to just be able to watch it without having to move from the safety of my own bed, which can be a very unappealing prospect when you realise OCD is waiting to try and hinder you as soon as you get up. Similarly, I see this as somewhat of an escape into the world of Pawnee and the life of Lesley Knope (ref to the show). Running – Sport is something I find really helpful, especially running. It gives me a sense of accomplishment and it’s also just something that makes me happy. The group that I train with are lovely and I really feel like part of a team, which is a something I hold very close to heart. In all honesty, it can be something that takes quite a lot of motivation to get myself to do, but when I do go out, I definitely end up feeling the benefits. Now I’m extremely guilty for very rigid black and white thinking. When I get very low, I automatically assume that I’m going be like this forever and that nothing is ever going to help etc etc. However, this quote helps bring things back to fruition. It helps me realise that things will improve and that this is temporary. My brain is lying to me. This is another quote that I absolutely love and one that really emphasises how I genuinely feel about life. I can’t stop my thoughts from coming. I can’t necessarily stop OCD from having a go at trying to infect it’s way into my life again, but I can learn how to deal with it and I can learn how to use the tools I have gathered to make sure that OCD does not get the satisfaction of controlling my life again. Which in essence, is what this OCD toolbox is here for. Now I’m one for holding onto an extreme haul of unnecessary responsibility, especially around keeping others safe. It’s something I’ve struggled with for a long time and I often fall back into this loop of thinking quite frequently. However, I find this quote to be a good source of grounding and realisation that I don’t possess the power to keep people safe from everything, no matter how many rituals I carry out. I don’t have to put myself under this boatload of stress to try and ‘protect’ them. It’s impossible to protect someone from life. Life happens. I can only be there to care and support those around me, I can’t protect them from the world and that’s something this quote really makes me realise when I read it. Keeping safe is absolutely vital and I think it’s extremely important to make sure we have a bank of key contacts that we can use when things are really tough, or even if we just need a quick chat. This aspect has been the inspiration for my ‘Support for people with OCD‘ menu at the top of my blog. We all need someone to talk to, especially at times when OCD feels like it has a horrific hold over us. Just knowing that there’s someone at the other end of a phone, or on a support forum, or who is able to sit next to you and is willing listen can be the one most comforting things possible. So I like to have a list of people to contact in these situations, however I have to be honest and say I don’t always adhere to this concept of asking for help, as I very often get too scared to reach out…but I’m working on it. My Psychologist/CAMHS Duty Team – This is my key point of contact at the moment if things get really bad. I know I’m able to be open about anything with my psychologist and so is such a huge help when I can’t cope. Similarly, the duty team (a group of CAMHS staff on rotation who answer calls from young people in the service, who are in need of help or support) is also available when my psychologist isn’t there, which is a great backup. Friends & Family – Whilst this is an area I still struggle to reach out to, friends and family can be of huge assistance if you need someone to listen or even hug. They’re normally in close proximity and they’ve usually known you for quite a while, which can really help if you’re struggling to explain things. The Samaritans (116 123)- I find this a great one to have as they’re open to talk 24 hours of the day. I often fear needing support at night because I know CAMHS is closed and my family and friends may be asleep, so knowing that I can call the Samaritans up at any time alleviates a little bit of that anxiety. Plus I feel like I would be able to talk to them without fear of upsetting or worrying them like I would be with my parents. Although over time I have learnt that they can handle when I ask for help and that they probably worry less when I do because they’re aware of the situation and thus are not ruminating. Online Support – In this day and age we are never too far away from social media, which is why online support can be a fab resource to easily access. There are many forums and websites that you can go to if you need help and it can all be done from your phone or laptop. Over the years, I’ve used this a great deal when I find myself overwhelmed and upset. Now these forums are not always monitored by a professional, but it’s nice again to have someone who understands and is willing to listen and maybe give a little advice. Funky Socks – This may be a little bit of an odd one, but wearing funky socks just makes me feel happy and funky. It may just be a small part of an outfit, but it’s something that I love wearing and makes me feel happy, especially if it’s bright, colourful and has awesome designs. It’s often the little things that make the difference so try not to ignore them. So! Hopefully, this OCD toolbox offered you some guidance for making your own and feel free to ignore or keep as many of my ideas as you’d like. I hope you are well and if you decide to create one of these, let me know! Fantastic post, Ellen. 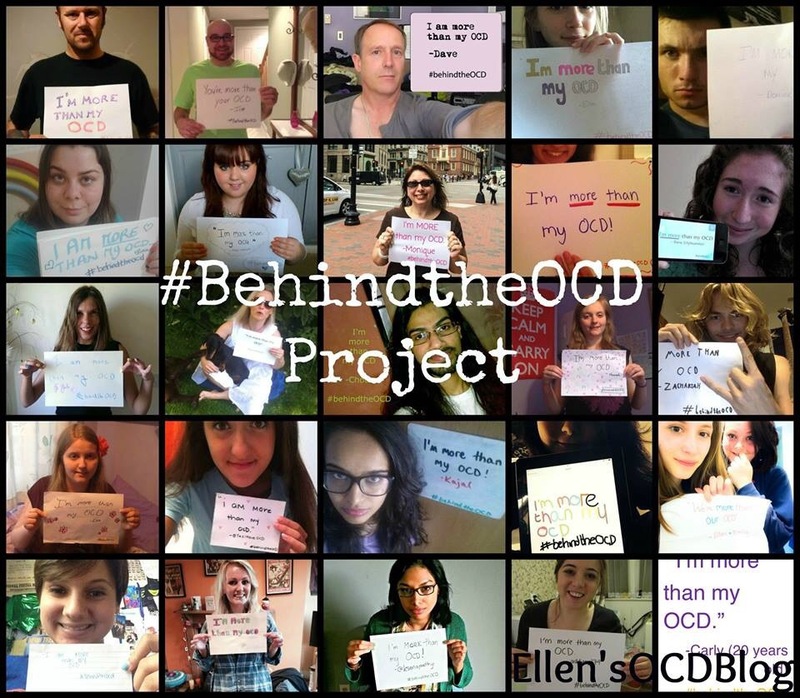 I wrote about OCD Toolboxes a couple of years ago: https://ocdtalk.wordpress.com/2013/01/01/ocd-toolboxes/ but your post is so much better because it’s so personal. And I agree with Paul. As I was reading, I kept thinking, “Is she really only seventeen?” 🙂 Hope things are going well and keep up the great work! Yes! I am planning on it. You?? How exciting! I think you have a great chance of your proposal being accepted. I look forward to meeting you :)! sesli sohbet seo güzel bir içerik makale paylaşımı olmuş başarılar. Hmmm, I’m wondering if I should suggest the funky socks idea to any of my OCD clients. Other than that, these are all great ideas. I’m glad the socks work for you. I think it points to the fact that whatever makes you happy is likely to lessen the anxiety and depression which generally feed OCD symptoms. In my view OCD is the expression of anxiety and isn’t a stand-alone condition. Anything which brings happiness, therefore, is going to increase the ability of OCD sufferers to leave their symptoms behind them.